New York based sales and marketing agency, Pan Atlantic promote entrepreneurship as a career choice that allows everyday people to achieve success faster than employment. The Agency calls on the U.S. Department of Education to step in and seriously consider teaching entrepreneurship. The firm are strong supporters of entrepreneurship, and provide advice and guidance to help people of all ages develop into business owners. Pan Atlantic argue that it is essential for startups and smell businesses to shorten their learning curve as much as possible, and believe this can be achieved through teaching entrepreneurial skills and instilling a successful mindset from a young age. Pan Atlantic sees no reason why the concept of entrepreneurship should be something for young people to be intimidated by. Putting the financial aspects to one side, the firm contend that kids should be educated on the endless career possibilities available to them, and have an environment where they can channel their creativity – business or otherwise. 1) Think Differently – Education through entrepreneurship has the ability to teach kids how to think outside the box, and foster creativity. Pan Atlantic also suggests that it can cater to nurturing a student’s unconventional talents and skills, irrespective of the socioeconomic backgrounds of his or her parents. 2) Innovation – Teaching entrepreneurship would likely create an innovative culture in the classroom that encourages students to maximise the use of their available resources surrounding them. This would likely carry over and increase their efficiency and aptitude in across other subjects in other classes. 3) Problem solving – Creating ideas for business and entrepreneurial ventures would require students to step outside their comfort zone by reacting to obstacles, viewing them as opportunities, and learning how to adapt in new situations. 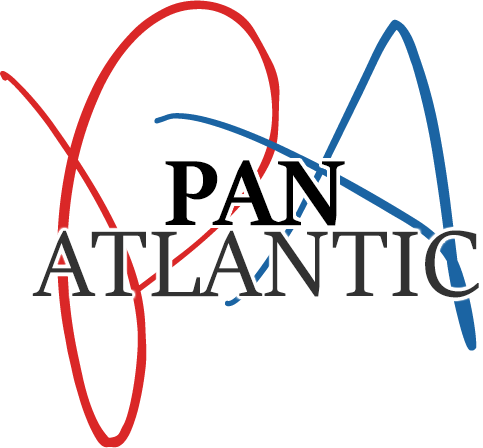 Pan Atlantic believe at the very minimum they would learn invaluable skills and lessons that would set them in good stead further down the line when they apply for jobs, or find themselves in business environments. 4) Working in teams – Pan Atlantic strongly believe that the precious teamwork opportunities that students would be exposed to would be immeasurable. Students would gain practical experience communicating and dealing with ‘clients; and experience what it’s like working together as part of a team to complete business orientated group tasks and assignments. 5) Identifying Strengths – Helping students to find what they are good at, and to make them understand what their strengths are would do wonders for confidence building. Pan Atlantic believe that it would help kids to find their path in life, and provide a platform where they can begin to unleash their energy and potential in a practical, and potentially future career shaping manner. The agency believes that there is enough evidence and suggestion in the aforementioned reasons above to make a serious case for instilling entrepreneurship in the U.S education system. Pan Atlantic maintain that the often recession-proof, sales-driven strategies of sales and marketing can provide a protective buffer against downturns in the economic climate, and would encourage budding entrepreneurs to get involved and gain an understanding from a young age. Pan Atlantic support budding entrepreneurs through their business development program, and offer workshops and seminars on how to set and achieve targets productively. The firm believes that this is the ideal environment for millennials looking to enter into entrepreneurship for the first time. Pan Atlantic are specialists in offering innovative direct marketing solutions to businesses across the United States. Through face-to-face marketing interactions, the firm are able to build lasting connections with consumers on behalf of their clients. In turn, these relationships help their clients to boost sales and expand into new markets and demographics.